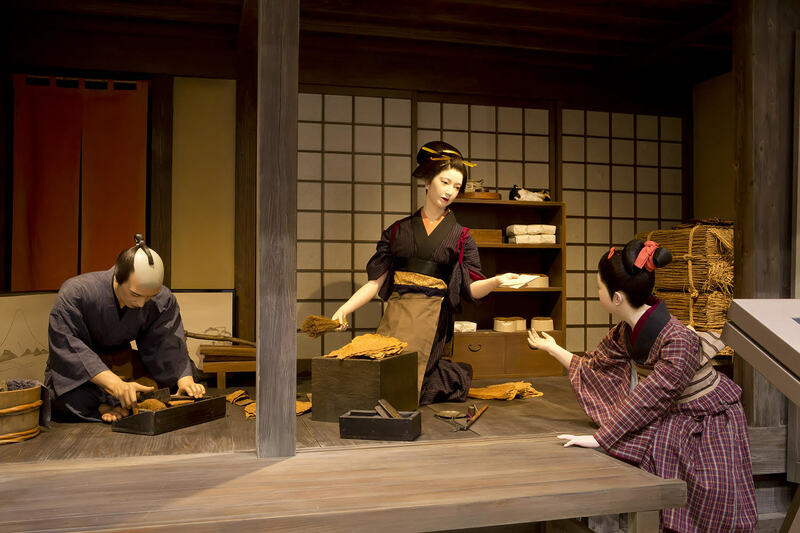 For art lovers, Tokyo is one of the top destinations in Asia with countless museums, alternative art galleries and exhibitions. 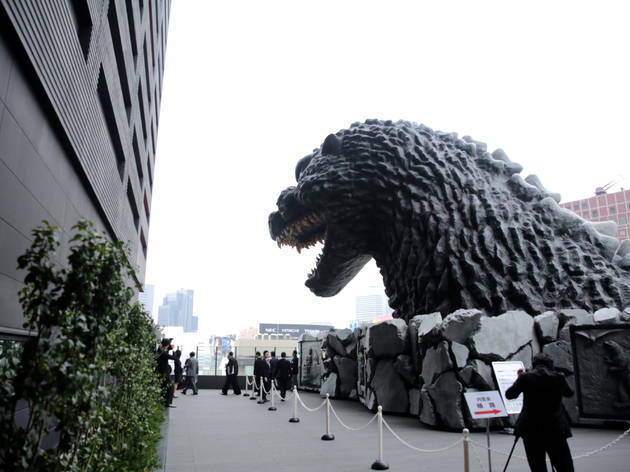 But that doesn’t mean you need to pay a premium to see some of the best art in the city – heck, to see these masterpieces, you don’t even have to go indoors. 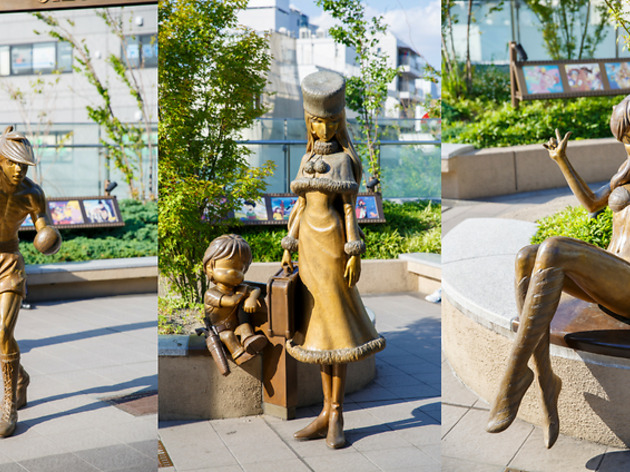 Here’s our list of some of the best outdoor art around town. 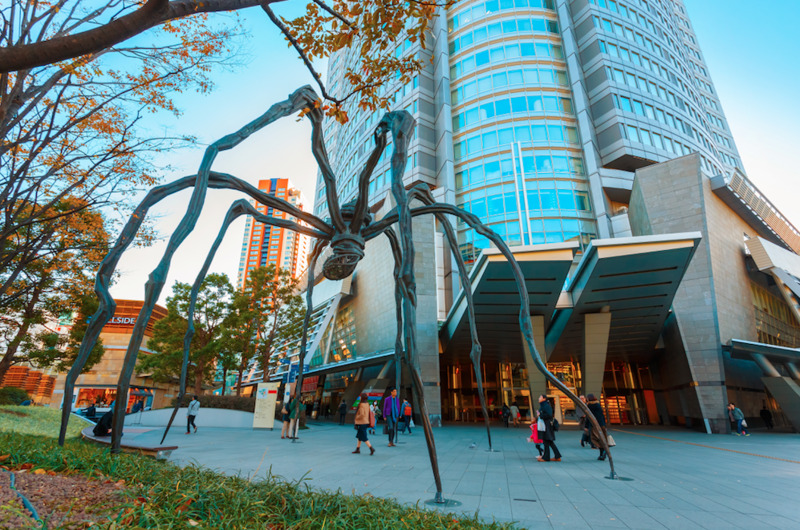 One of the city’s most iconic outdoor sculptures, Louise Bourgeois’ ‘Maman’ (‘Mum’ in French) at Roppongi Hills greets visitors to the Mori Art Museum. 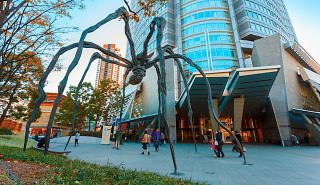 Towering over 10.23m high, this massive spider was created as a tribute to Bourgeois’ mother (both weavers, you see). 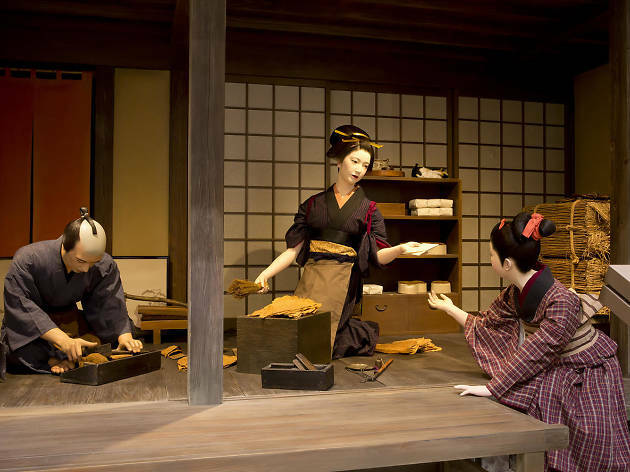 ‘Maman’ comes complete with a sac of marble eggs attached to the body, and she has siblings too, which you can find spidering around at the National Gallery of Canada, the Guggenheim in Spain, London’s Tate Modern, and the Leeum, Samsung Museum of Art in Seoul. 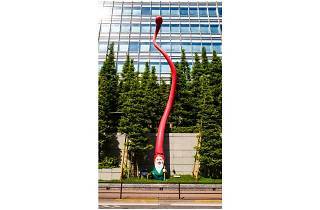 This quirky, cheerful sculpture of a gnome dwarfed by his ludicrously long red hat is the work of German artist collective Inges Idee and can be found near Osaki Station. 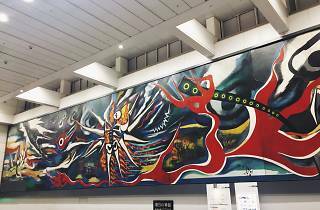 He's a fun one to catch and will certainly bring a smile to your face – you can sometimes even spot him while you're passing Osaki Station on the JR Yamanote Line. Located outside the Nettle Tower in Shiodome, this massive copper and steel clock is designed by Hayao Miyazaki, the co-founder of Studio Ghibli. 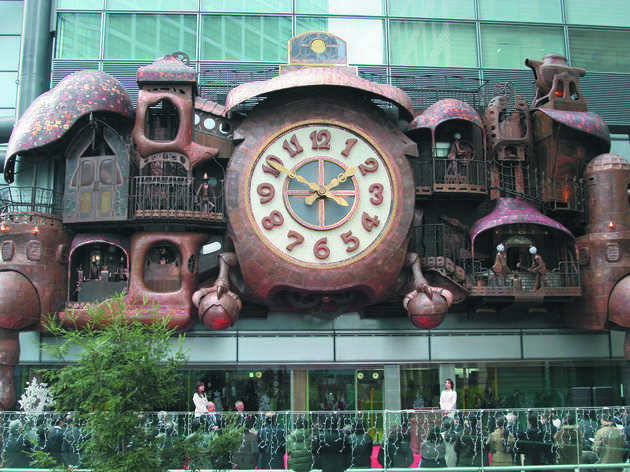 It's no surprise that it reminds us of something from his film ‘Howl’s Moving Castle’. 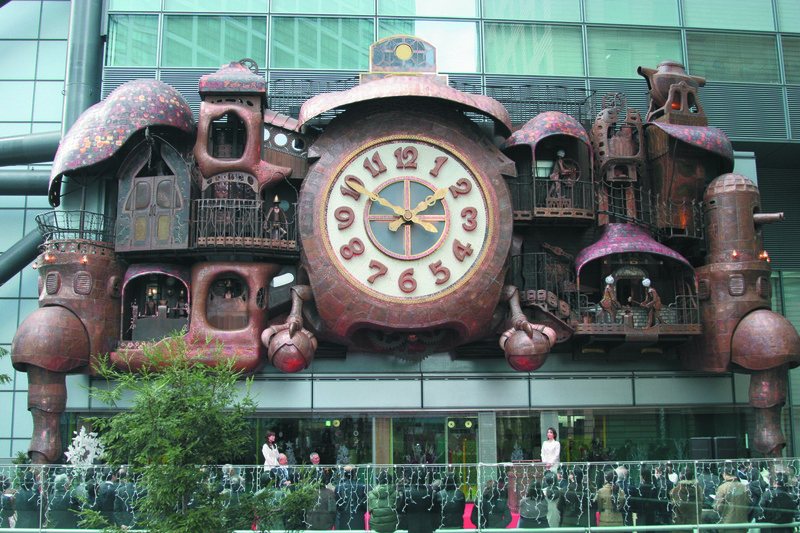 Come see this large mechanical clock in action at 12noon, 3pm, 6pm and 8pm (plus 10am on Sat, Sun and public holidays). This large sculpture by Yoshiko Miyashita inside the passageway at Shinjuku Station witnesses over a million commuters pass by every day. 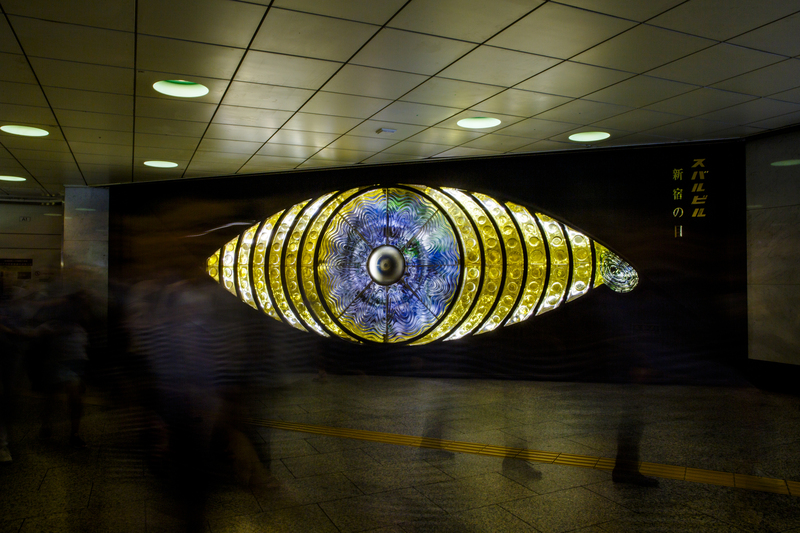 The most eye-catching piece of public art in town, it’s been around since 1969. You can find this one inside Shinjuku Station below the Suburu Building. 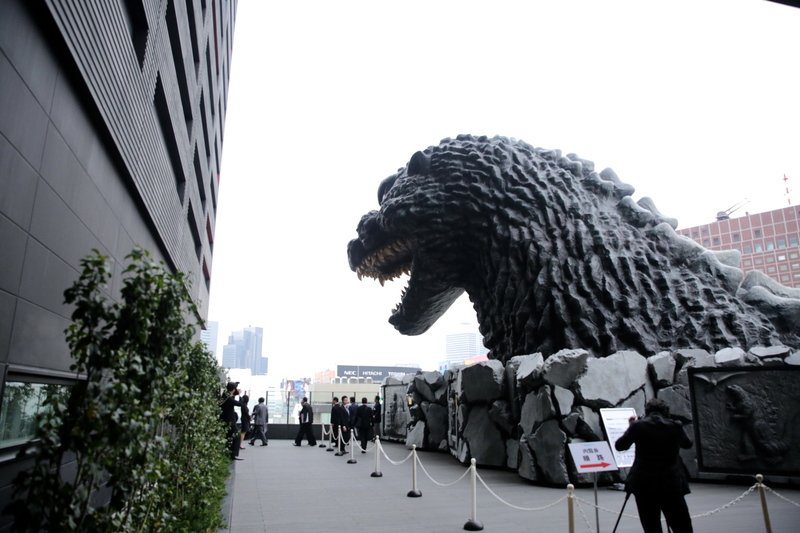 Those less fussed about fine art and more in the mood for tracking down the king of monsters should first make their way to Kabukicho, where a significantly tall Godzilla head towers over the Toho Cinemas movie complex. 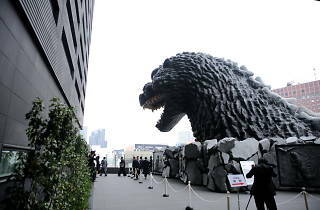 For more Godzilla goodness, head to Hibiya Chanter Square, where a 1.2m-tall Godzilla has been protecting the area since 1994. 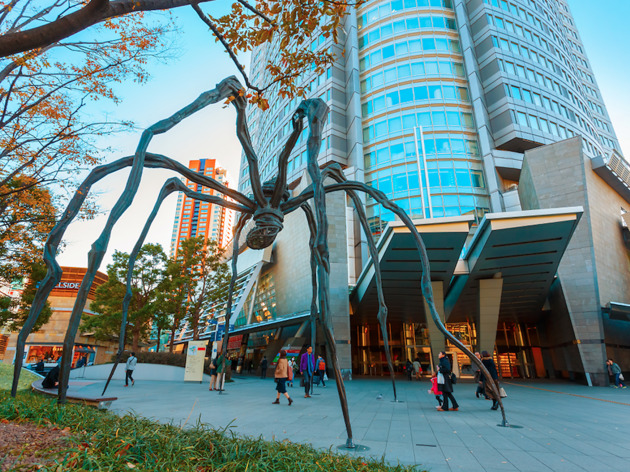 One of Japan’s most noted avant-garde artists, Taro Okamoto is perhaps best known for the ‘Tower of the Sun’ sculpture he contributed to Osaka during its famous 1970 Expo, but there are examples of his work scattered throughout Tokyo too. 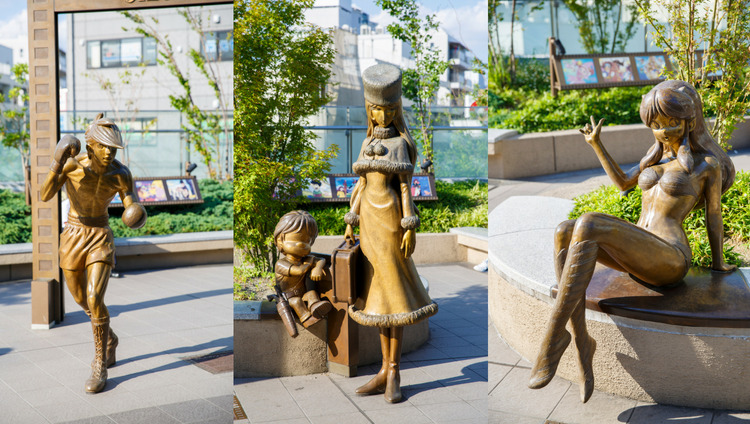 ‘Tree of Children’ (1985), a series of happy faces extending from tree branches, can be found, appropriately enough, in front of the National Children’s Castle in Aoyama (which unfortunately closed in early 2015). 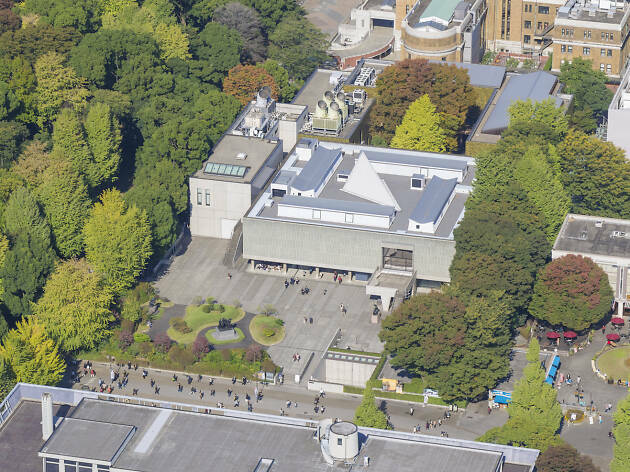 Then there’s the ‘Young Clock Tower’ (1966), created four years before the Osaka Expo, which stands in Sukiyabashi Park in Ginza. Try to check it out in the evening, when its tendrils light up. And perhaps the most impressive work on the list is ‘Myth of Tomorrow' (1969) (pictured), a colossal depiction of an atomic bomb blast. 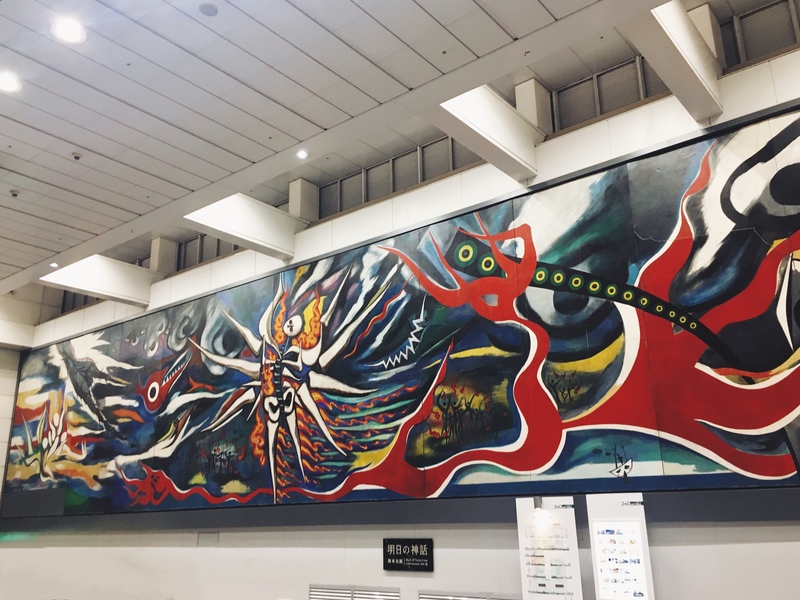 Originally created in Mexico and long assumed to be lost, the 30m by 5.5m painting was found abandoned in a building materials yard in 2003 by Okamoto’s wife. 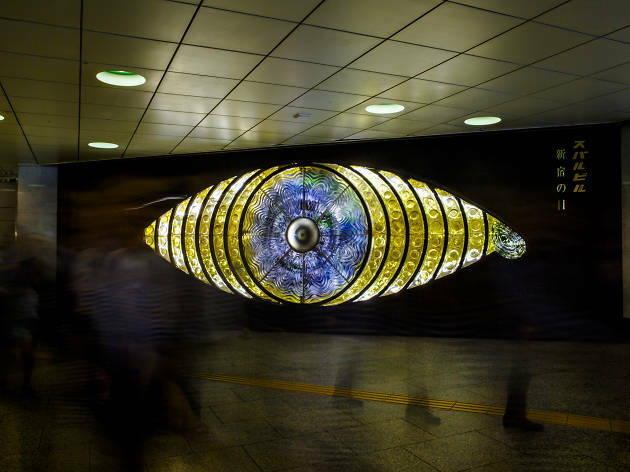 Painstakingly restored over a period of three years, it can now be seen inside Shibuya Mark City at Shibuya Station. From parasites and love dolls to tattoos, these are some of Tokyo's quirkiest and most bizarre museums. Warning: not for the faint-hearted!